In Japan, the rainy season has set in and it gets wetter and stormier every day. Sometimes the humid and hot weather will makes you sick. Today I would like to introduce the special things to enjoy such a bad weather. It is “Wagashi(和菓子)”.Wagashi is a traditional Japanese sweet, and it is well known as an essential thing in tea ceremony. Not only such a formal situation, it also popular in the daily situation as a food which brings enjoyment of feeling season to people. As you may have already noticed, ingredients and the shape of Wagashi are considered carefully to express the season. 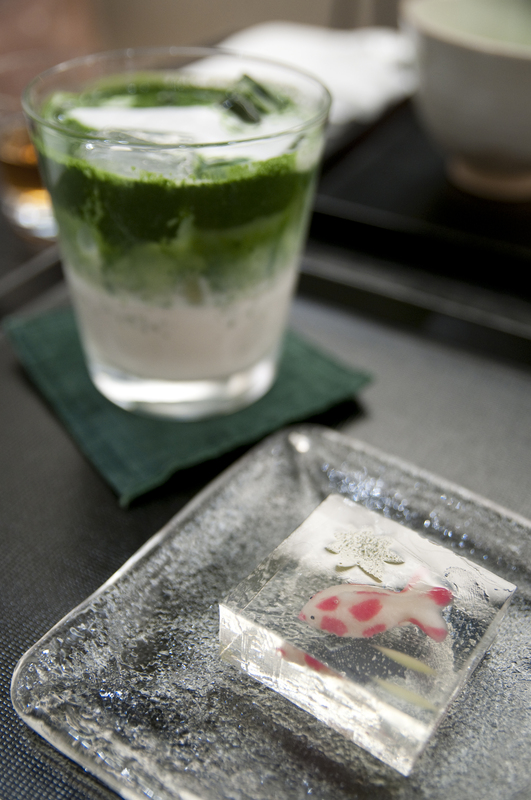 For example, Wagashi in summer seasons are often contain the starch to install a sense of refreshment. 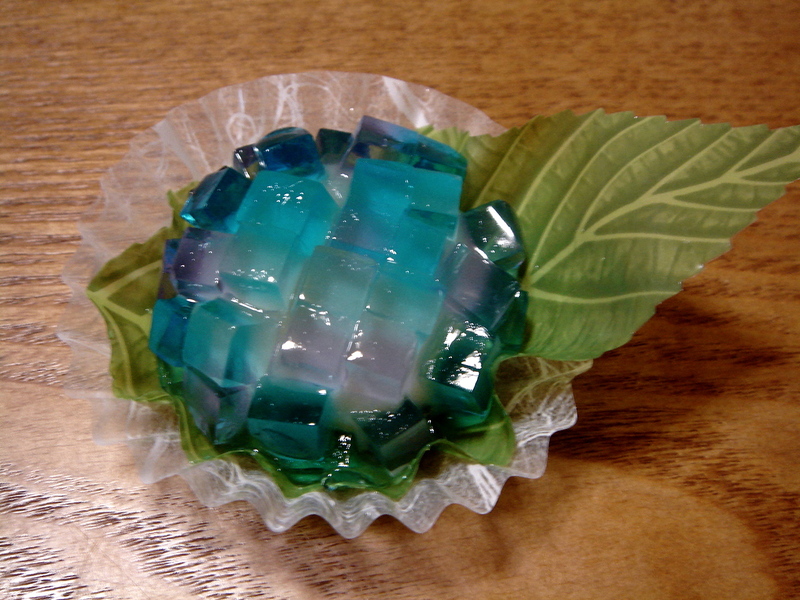 The picture below is a Japanese sweet which named “ajiwai”. This sweet expresses a representative flower in rainy seasons: Japanese hydrangea. 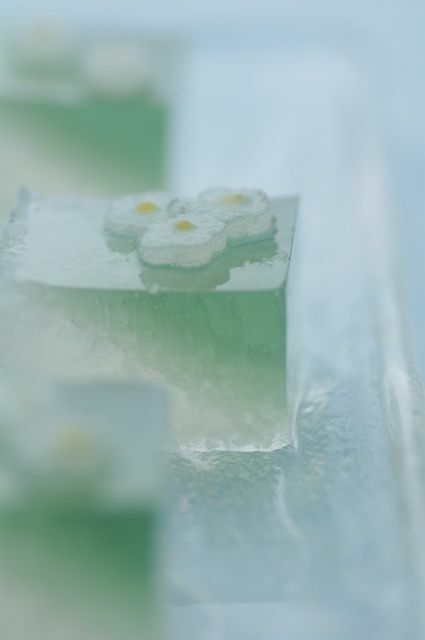 The hydrangea flowers are produced with agar cubes to express the sense of refreshment. The next picture is also summer sweets. This sweet also use agar to express the clear water, and locks up a gold fish in it. Wagashi will help you to compete the depressed feeling which comes from the weather, and you might have love with the season! Enjoy summer season in Japan with lovely Wagashi.